Hey Guys! Sarah Brinson here! It's been a while I know-- but i'm excited to be back with my column as part of the IDTV Hub and couldn't be more stoked to share this interview w/ the ever so talented, George Lawrence II. It's no doubt George is an EXTREMELY talented dance artist. You've seen him on So You Think You Can Dance, Dancing With the Stars, and MORE! 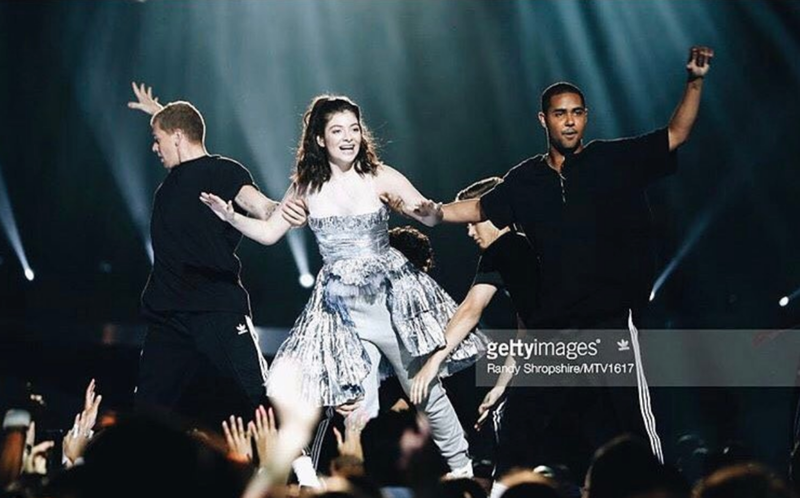 Most recently he's been touring with Lorde on her international tour, choreographed by one of our favs, Andrew Winghart!!! Not only is George a great dancer but hands down one of the nicest, most caring individuals I've met in a long time -- very empathetic, patient, and extremely funny to top it all off! Enjoy this interview on the IDTV Hub! SB: Where did u first come in contact with dance? GL: I started dancing at the age of 10 in Atlanta, Ga. I found my way to a studio called Dancemakers of Atlanta during my senior year in high school. After joining Dancemakers I attended NYCDA Nationals for for the first time and ended up winning the senior national outstanding dancer title. SB: What's ur fav book, podcast, or magazine? SB: What inspires you on the daily --do u have any tips for when u don't feel like doing something u have to or know u should do? GL: Knowing that I get to do what I love to do everyday and get paid to do it. So my job doesn’t feel like work. I know that sounds cheesy but it is what it is. SB: Most exciting career moment f/m the past year? SB: Tell us about your journey to the Lorde World Tour! GL: I first moved to LA right after I was on the show ‘So you think you can dance’. After getting my name out there, I was able to meet a few choreographers, one in particular, Andrew Winghart. I ended up starring in a viral video for him to ‘Cry Me A River’ and we realized that our partnership worked very well. He ended up booking the choreography job for Lorde’s tour and he then asked me to dance in the show! SB: what challenges have u faced/overcome? And how have they made u stronger? EO: Growing up as a male dancer. Being picked on growing up made me realize that I can’t be concerned about what other think of me...I just need to remain true to my self and keep moving forward. SB: Current featured artists on ur Spotify? SB: What's next for u? EO: To keep dancing! More tours, movies, tv shows. I want to stay very active.